Join me in these food & activity challenges that are completely do-able! Hopefully you’ll be inspired to try something new or create new healthy habits. It’s one of those days where you go “where did the time go? ?” and your workout or gym plans just won’t happen! That’s the kind of day I had anyways. Here’s a workout that will target your entire body and core, and you can feel good about that Friday night glass of wine (or chocolate mmm)! Try doing a few reps of as many as you can do. Just a few minutes of this and you’ll be feeling like you did hit the gym. Sometimes we can get into a rut of buying and eating the same vegetables, in our house the fridge will likely consist of carrots, kale, broccoli, bell peppers, and green peas. Now that it’s warming up, local produce and farmer’s markets are popping up which means fresh vegetables and a great time to try new varieties. 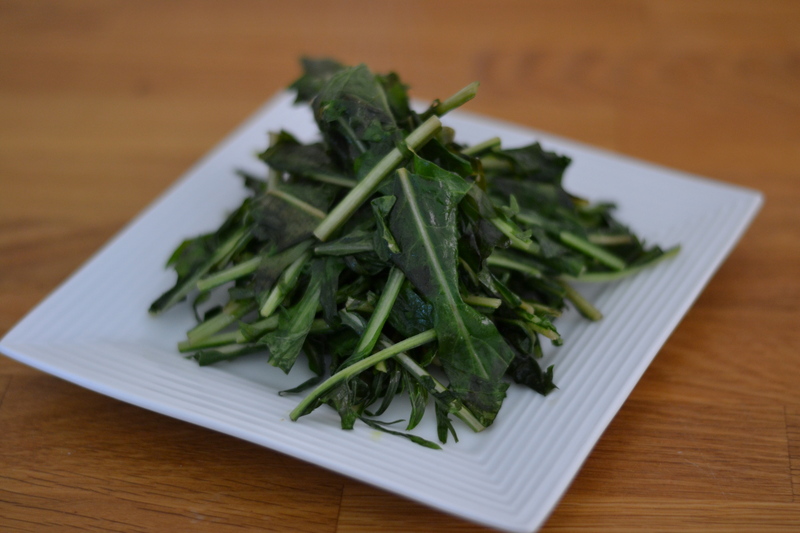 This week I decided to try two things I’ve never cooked with; organic dandelion greens and kohlrabi. 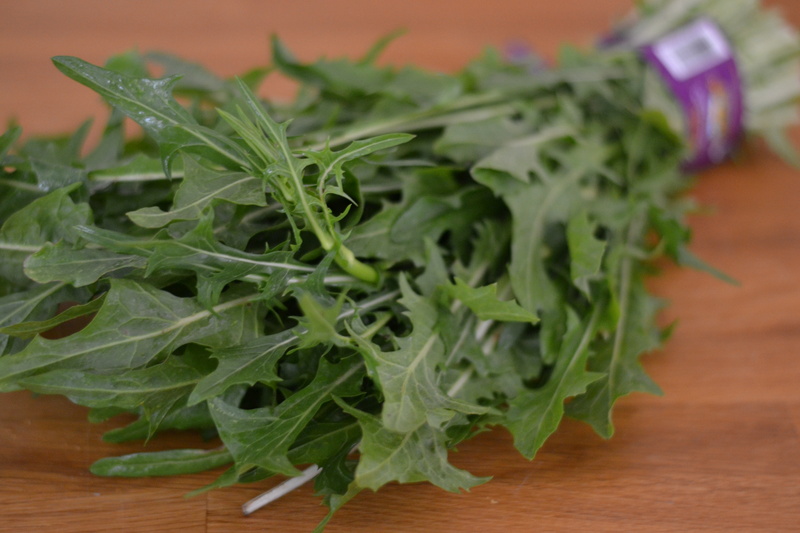 It caused quite the stir at the cash out when the dandelion greens wouldn’t scan and none of the workers could find the code for it in their system…we held up the line for about 10 minutes, obviously dandelion greens are a rare purchase here! I had to explain to pie pie what the hold up was all about (“why she can’t just can it mom?”), and luckily the kohlrabi had a barcode around it. 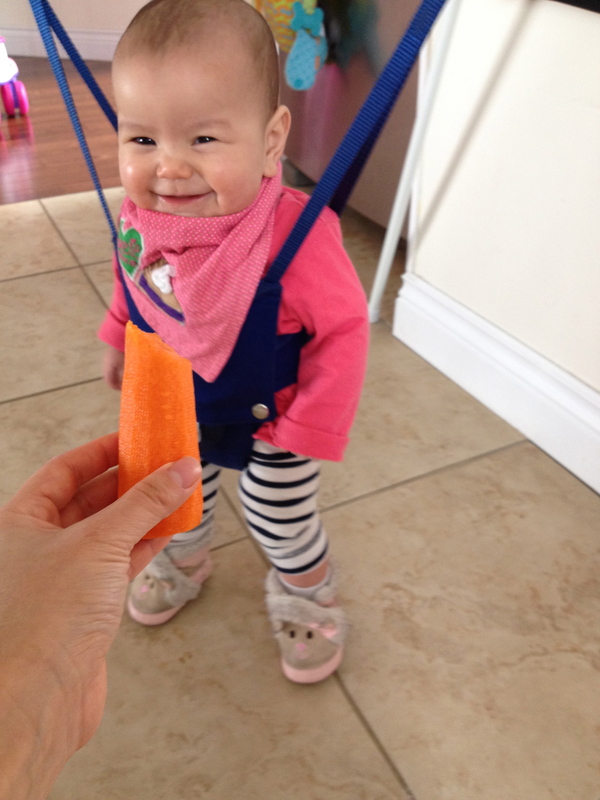 Trying something new is fun and you might end up adding it to your grocery list from now on! 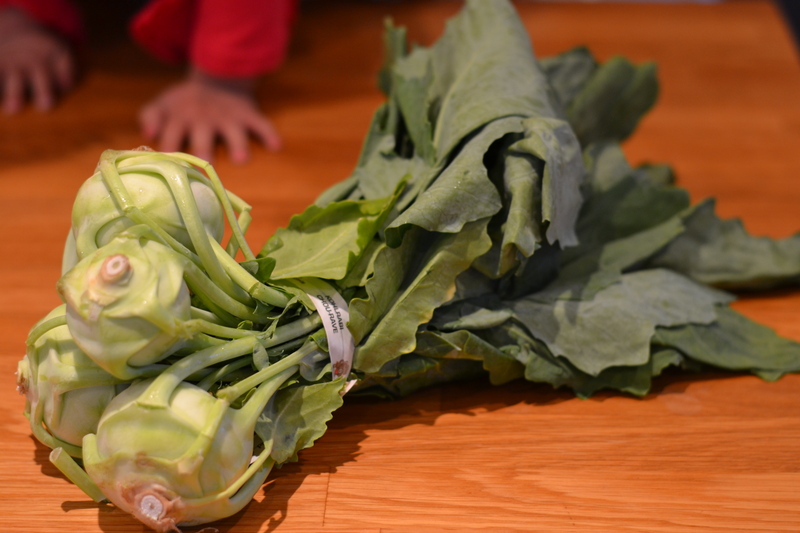 I can say that about the kohlrabi – what a versatile vegetable, you can eat the entire thing! The greens at the top are robust and leafy, and the bulbs are firm and radish/turnip like. Kohrabi is like two different veggies in one! Definitely a great buy. garlic sautéed dandelion greens, for a bitter bite! As my good friend Max (mom of two busy bees) would say, “dinner time is such a rat race”. It’s too bad that the typical nine to five work day leaves us scrambling to get our kids fed, bathed, and into bed by 7pm…ish… and it sure doesn’t leave very much room for family time together as a whole! That’s why for our household, it’s so important that we try to sit down to have dinner – even if it means taking the extra effort to bring everything over to the dining table (breakfast usually happens at the island in the kitchen!) and having to deal with cleaning it all up after the kids have gone to bed. By the time my husband gets home the boss (our 7 month old) is usually so hangry that I can barely get food into her fast enough, and as I’m doing that pie pie is running around us wild and trying to help “I want to feed my baby sister!”. It’s definitely a team effort and sometimes once we sit down pie pie announces, “my belly’s full”, or it’s almost 6pm which means only 10 minutes of “togetherness” at the table since the boss needs a bath ASAP and wants to go to bed at 6:30pm. The truth is, sometimes it may seem like it’s not worth the effort for those measly 10 minutes (or, chaotic 10 minutes! 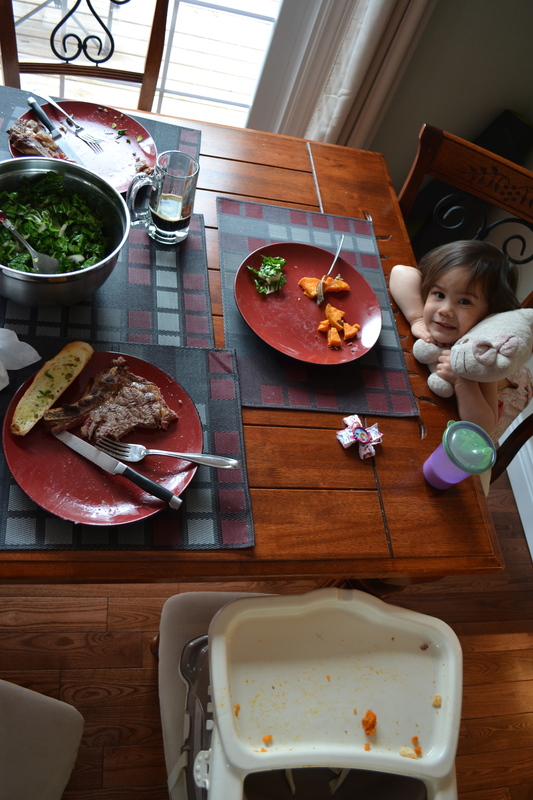 ), but even though our dinners are short now, I am hoping it’ll build a solid habit and routine for the future. I grew up in a family that sat down every night together for dinner, and I have so many memories of good food & family time because of it. I have two brothers that are quite a bit younger than me, but we are close and such good friends despite our age gap (5 and 8 years! ), and although my dad worked a lot when we were in school, he did always sit down with us for dinner. I really do believe part of our amazing family dynamic is due to spending time together everyday around the dinner table. 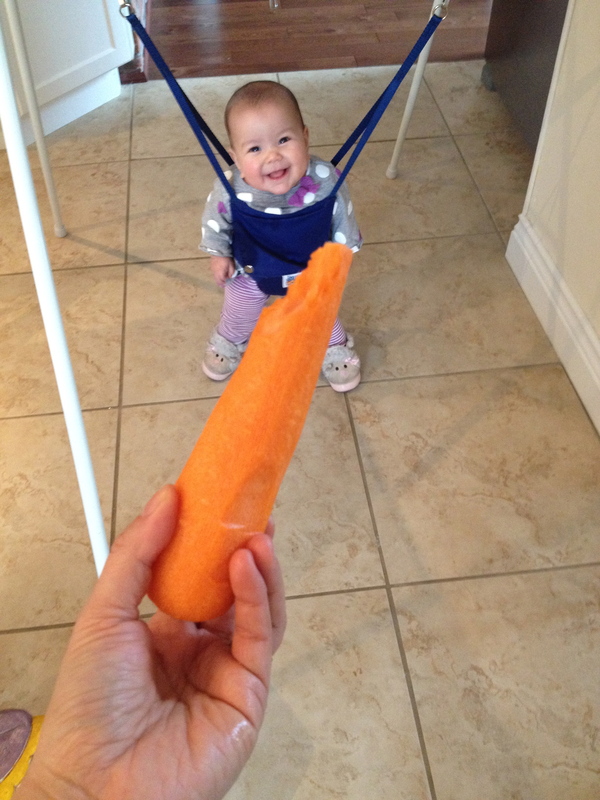 Eat a carrot a day for a whole week! Awhile ago my best friends from high school started a whatsapp group called “girls healthy eats and workouts” and we would send each other photos, recipes, or little blurbs of our day or week. For fun we also post little challenges to each other, nothing too crazy or impossible because let’s face it, we all lead different busy lives and we are all in different stages of life! Some with kids, some in residency, some travelling, some working long hours, etc. For example, someone might post a picture of a meal they made and say “this weekend’s challenge – make something all from scratch!”, or like I posted one day, “anytime today, try to do 30 squats!”. One day I decided to post a food challenge that would last one week – the thing is challenges need to be achievable or else it’s not rewarding or fun and you end up feeling defeated. 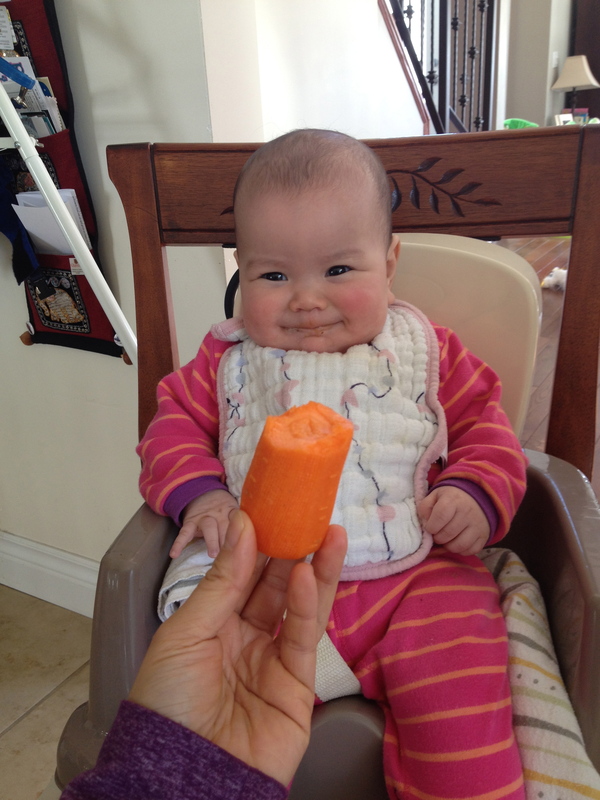 So here’s what I came up with – eat a carrot a day for a week– super simple but honestly it made a difference in my week! Instead of reaching for a cracker or some other packaged snack, I would take the extra 2 minutes to wash and peel a carrot, take a picture of it (to show my friends), and then eat it. Having the little bit of accountability made me stick to it, and actually I found I felt really good and ate less packaged snacky items (processed carbs…we all crave them!). 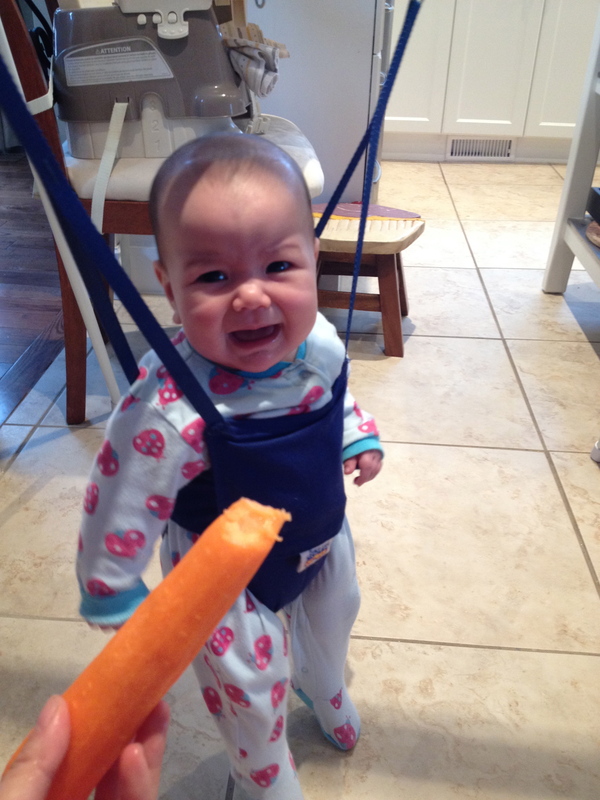 It’s not like I was full after eating a carrot but all that crunching and munching of a whole carrot actually kept me satisfied for longer than I thought it would. I encourage you all to try it! Then share with us – did it make a difference for you? The best part of this? 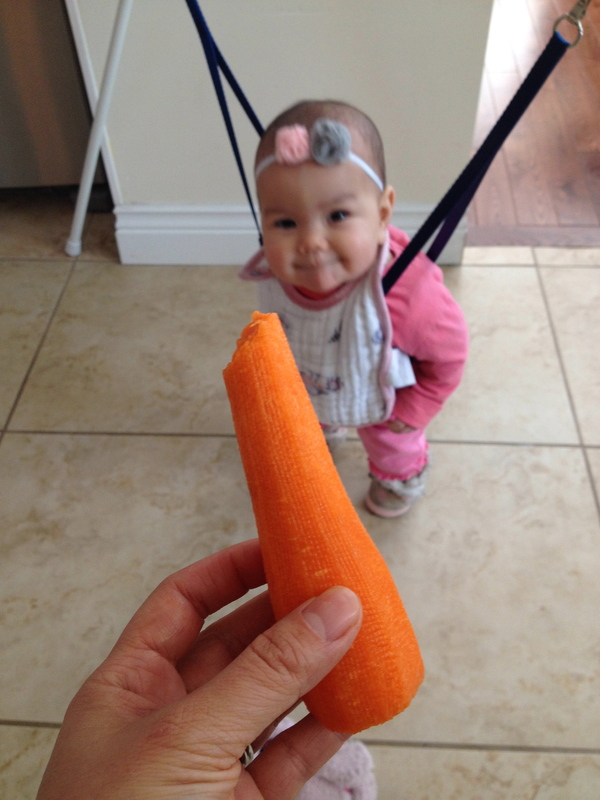 My toddler (pie pie) and baby (the boss) saw me do this everyday, and pie pie would say “mommy you eating carrot again?” and I would say “yes, it’s good for me” and she would want some too. Our children really do watch us – lead by example and let them inspire you to inspire them.